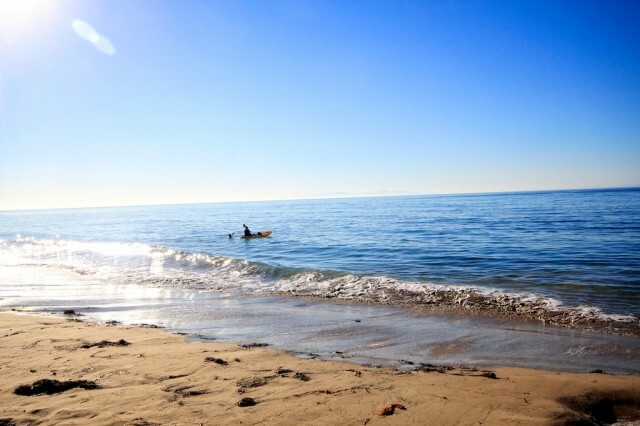 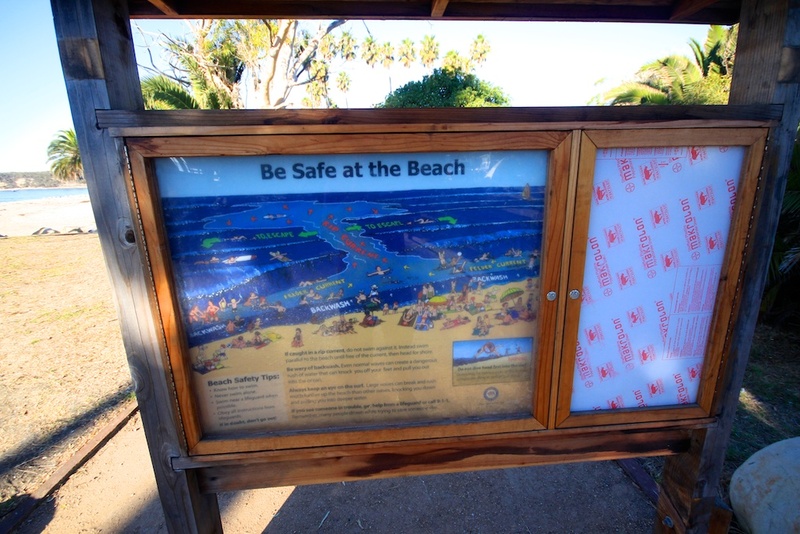 On a trip up Highway 1 you will probably notice the three State Beaches located between Santa Maria and Santa Barbara. 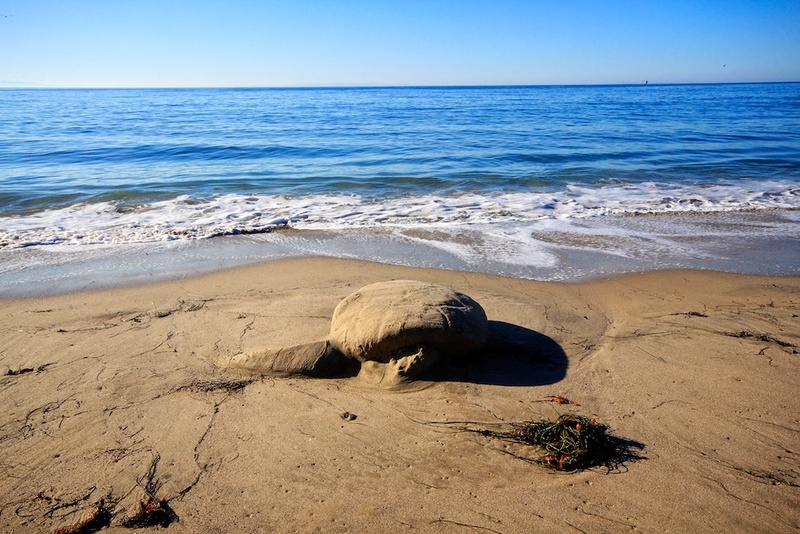 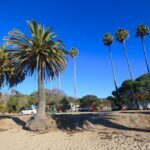 I have always wanted to see what they had in store so I stopped by Refugio State Beach to soak in the sun and sand one summer day. 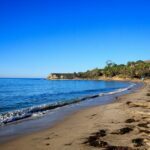 This beach is literally a quarter mile off Highway 1 and has a wide assortment of tent camping and RV camping for you to enjoy. 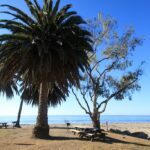 If you are simply going for a day you can pay 10 dollars to park your car and just hang out at the beach. 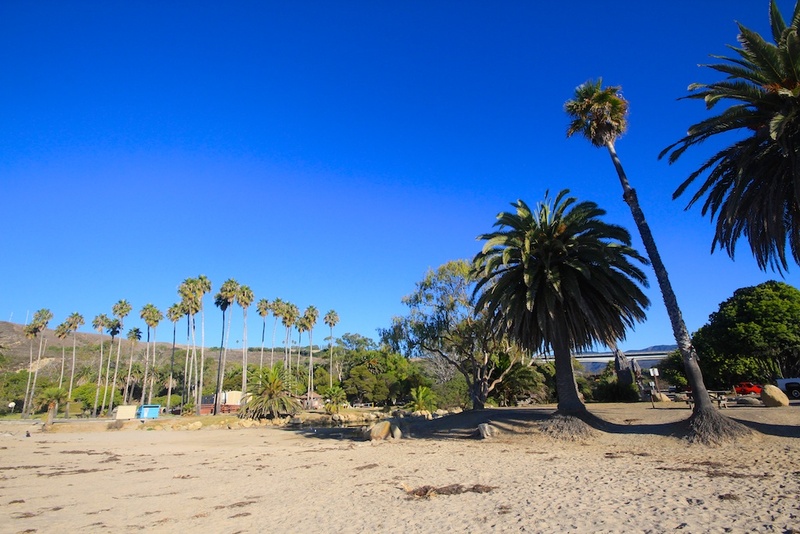 When I went in late summer this beach was only partially full, which gave me the feeling of being somewhat secluded even so close to a main city like Santa Barbara. 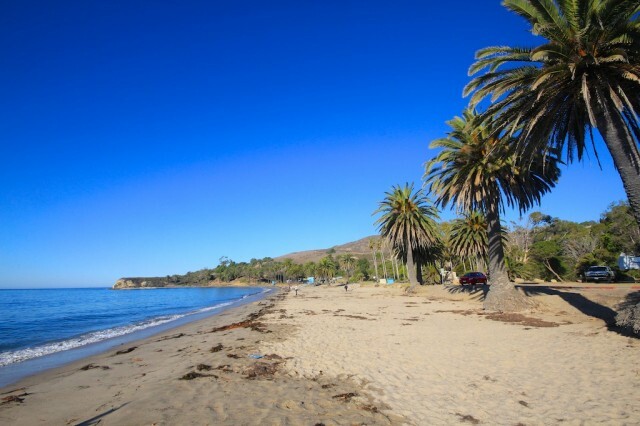 This is one of the things thats not great about Southern California, every beach you go to is completely full during the summer months and it is hard to find some seclusion. 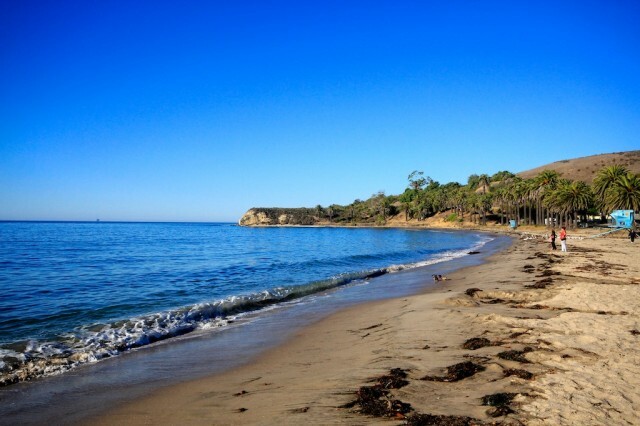 Refugio State Beach really did provide that while I was there though and I wonder how crowded it gets during a weekend in July. 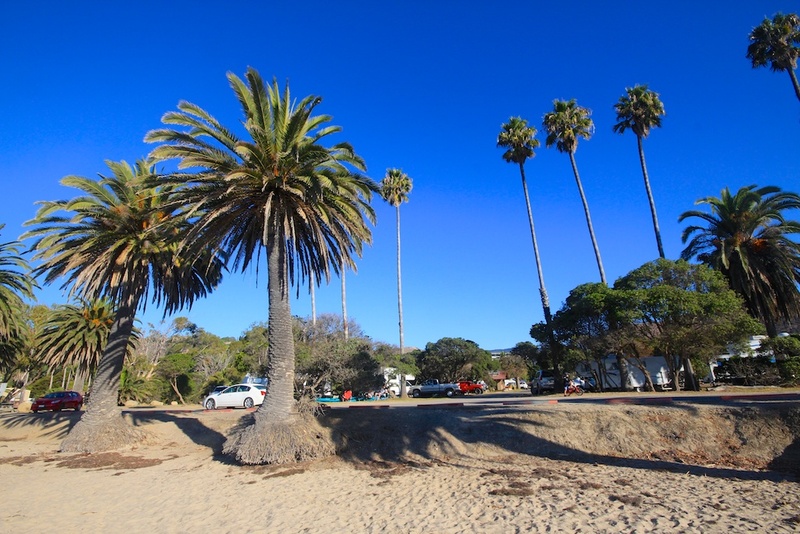 The beach itself has a bunch of palm trees that have grown right near the sand. 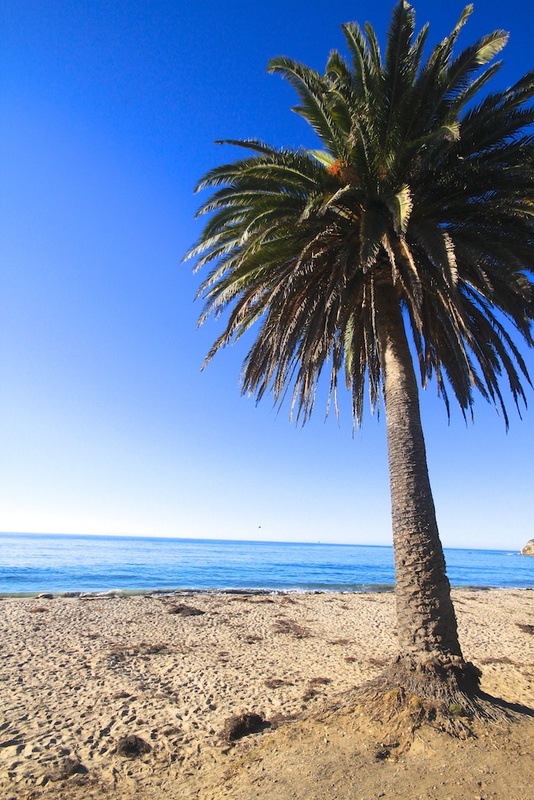 I loved this juxtaposition between the palm trees and the calm waves crashing on the shore. 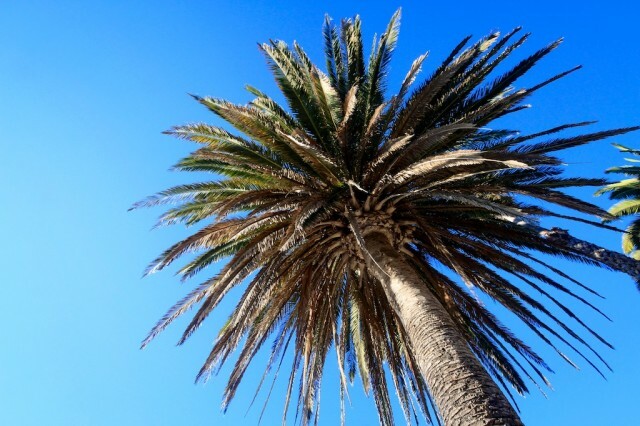 The palm trees were huge as well. 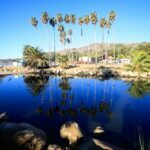 I needed my wide lens just to fully capture them in the frame. There were people setting out to kayak in the nice morning sun, and with the calm waves I bet this is a great time to go paddle up the coast a little ways. There were also some others building the below structure from the natural plant debri. 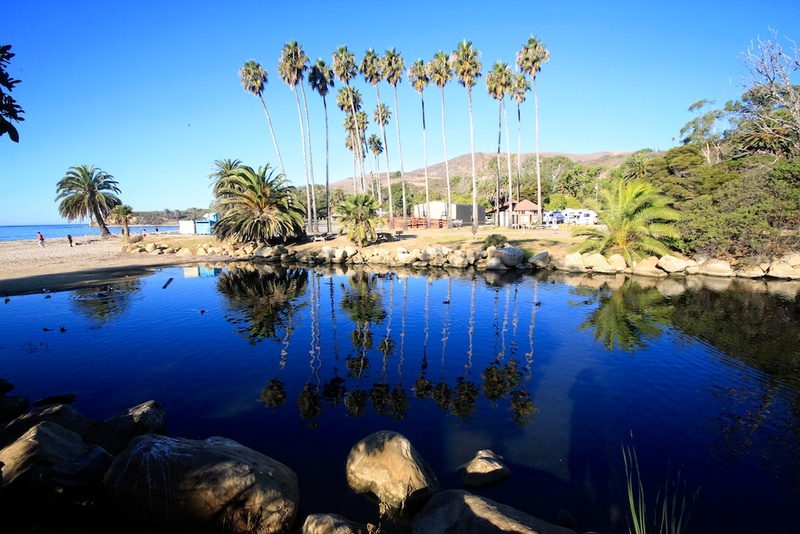 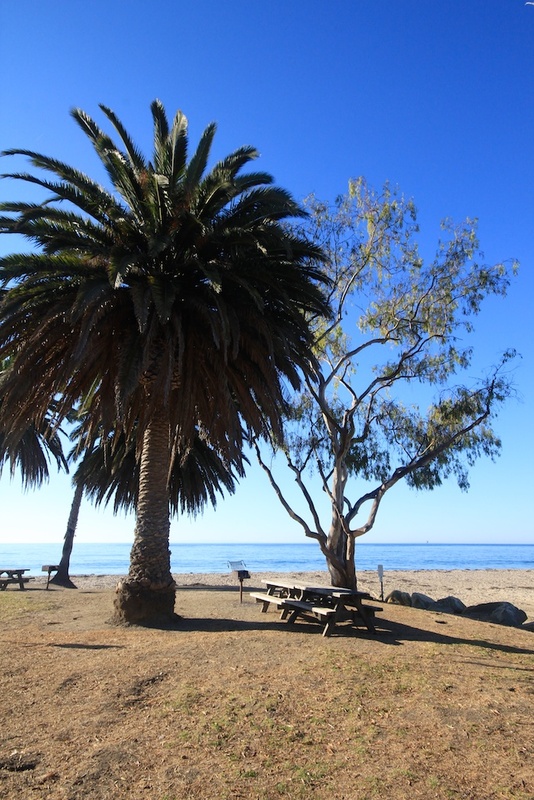 This state beach also has a lot of great hiking trails and fishing spots located conveniently near by. 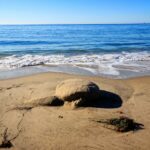 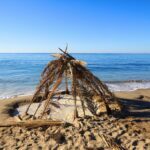 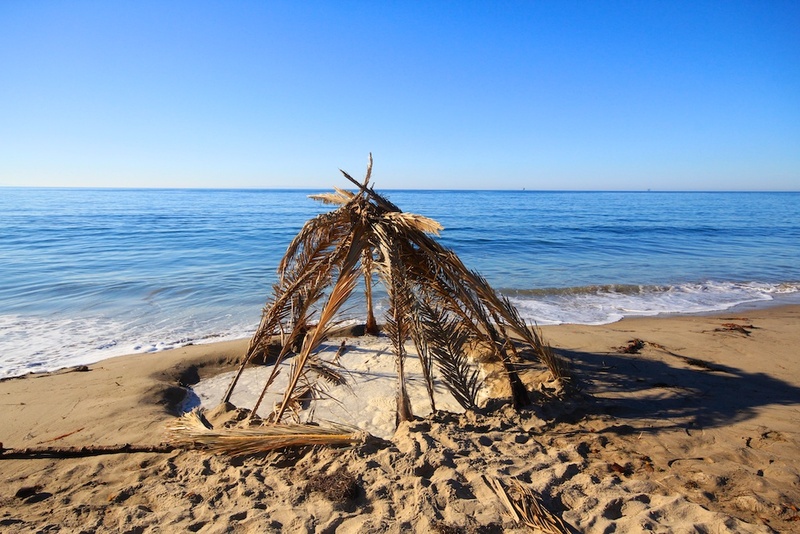 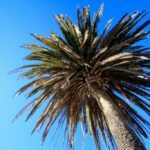 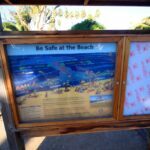 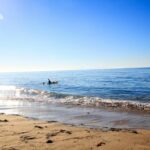 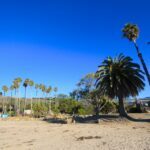 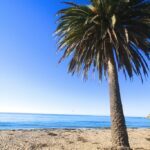 While I am partial to the Central Coast of San Luis Obispo and Pismo Beach, Refugio State Beach really is a great place to go on a camping trip with the family. 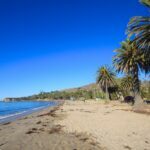 It is close to many major cities but provides enough natural beauty and seclusion that you can really enjoy the pristine coast line the way it was ment to be enjoyed. Check out the rest of the pictures and get directions to visit yourself below.